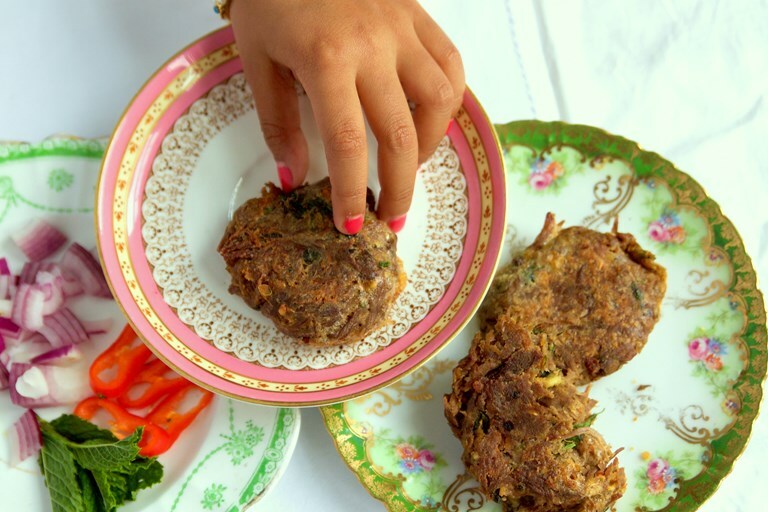 Sumayya shares her glorious shami kebab recipe, but makes hers with slow cooked bavette steak rather than the traditional ground beef. Laced with black cardamom, black cumin and herbs, these kebabs will make a wonderful celebration starter. 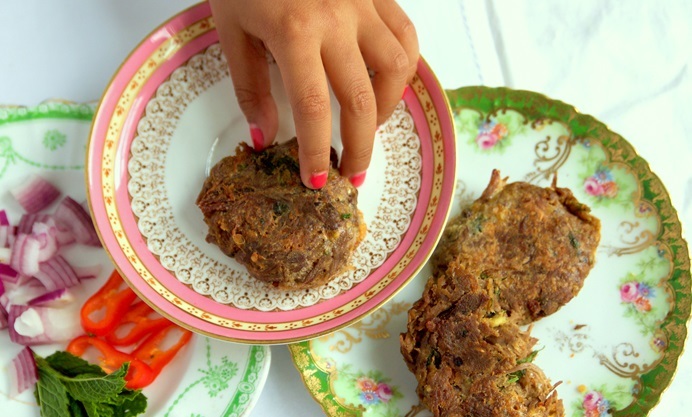 Read more about Sumayya's foodie Eid memories here. Shami kebabs are usually melt in the mouth puréed spiced meat and channa daal based kebabs found in nearly all homes in Pakistan, with a history as far back as the Mughal Empire. Often a laborious task, I have adapted a traditional recipe and used bavette steak which is cheap and just beautiful, and instead of puréed minced beef, as is traditional, I have left the meat to cook slowly until it pulls apart, together with spices and channa daal. When bone-dry and cool, add fresh herbs and ginger and mould together into burger patty shapes, dip lightly in egg and shallow fry. Perfect Eid guest treats with some spiced tamarind chutney. Sumayya Usmani is a cookbook author, writer and cookery teacher who specialises in Pakistani cuisine.